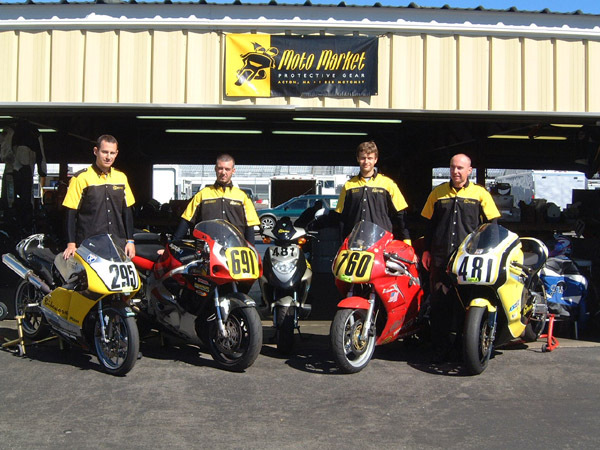 This is us at the last race weekend of 2004 season. I spent most of that season in a cast, so this was my first time out after the injuries. Left-to-right: John Doll, Allan Jones, Ilya Kriveshko, Paul Conley. Photo courtesy of Margaret Doll.